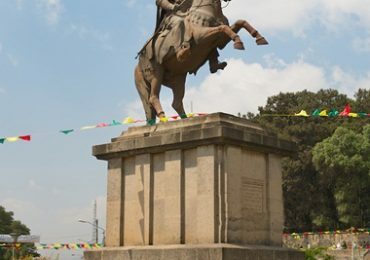 ADDIS ABABA, ETHIOPIA – JANUARY 18, 2010: Menelik II equestrian statue on January 18,2010 in Addis Ababa, Ethiopia. Victory over the Italian invaders had earned Menelik II a great fame. Addis Ababa which is means the “new Flower” was chosen by Empress Taytu Betul and the city was founded in 1887 by her husband, Emperor Menelik II, the name of the city be came ኣዲስ ኣበባ. Addis Ababa also called with a nick name as City of Humans, Adisaba, Sheger, Finfinne, Adu, Adu Genet,it is the capital city of Ethiopia. The city addis ababa lies in the centeral highlandes of Ethiopia at an altitiude of 2400m.it is the world third highest capital city It is the largest city in Ethiopia, with a population of 3,384,569 according to the 2007 population census. Addis Ababa has the status of both a city and a state. It is where the African Union and its predecessor the OAU are based. It also hosts the headquarters of the United Nations Economic Commission for Africa (UNECA) and numerous other continental and international organizations. Addis Ababa is therefore often referred to as “the political capital of Africa”, due to its historical, diplomatic and political significance for the continent. 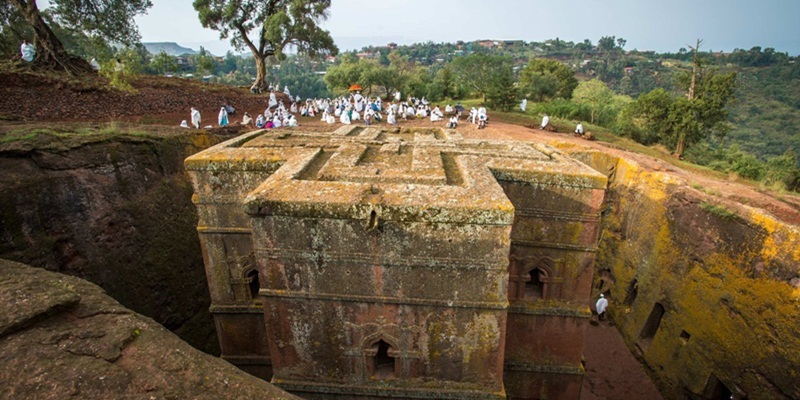 The city is populated by people from different regions of Ethiopia – the country has as many as 80 nationalities speaking 80 languages and belonging to a wide variety of religious communities. It is home to Addis Ababa University. The Federation of African Societies of Chemistry (FASC) and Horn of Africa Press Institute (HAPI) are also headquartered in Addis Ababa. Most of the Addis Ababa streets are named with 52 of the citys roades after each of the non-ethiopian member states of the organization of African Unity (OAU). Addis Ababa have diferant architecture arround the city itself, tall office buildings, elegant villas, functional bungalows, flat, fashionable hotels, conference halls,theaters center and a same city center buildings.some of the land marks are the Notable buildings of St George’s Cathedral founded in 1896 and also home to a museum, Holy Trinity Cathedral once the largest Ethiopian Orthodox Cathedral and the location of Sylvia Pankhurst’s tomb as well as the burial place of Emperor Haile Selassie and the Imperial family, and those who fought the Italians during the war. 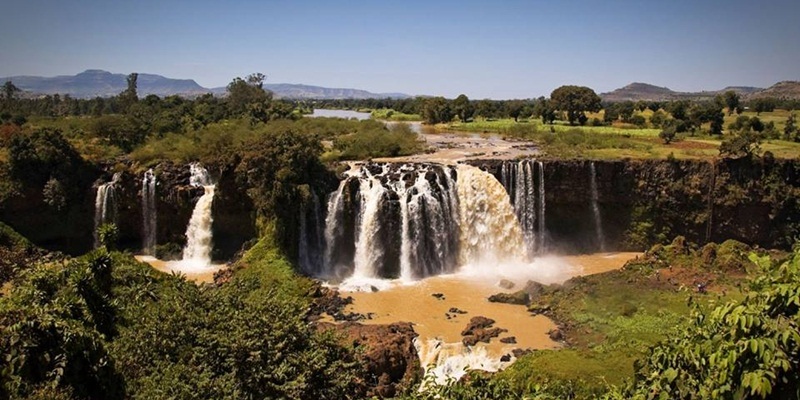 There is also Menelik’s old Imperial palace which remains the official seat of government, and the National Palace formerly known as the Jubilee Palace built to mark Emperor HaileSelassie’s Silver Jubilee in 1955 which is the residence of the President of Ethiopia. The fossilized skeleton, of the early hominid Lucy known in Ethiopia as Dinkinesh is preserved at the Ethiopian National Museum in Addis Ababa.Meskel Square is one of the noted squares in the city and is the site for the annual Meskel at the end of September annually when thousands gather in celebration. 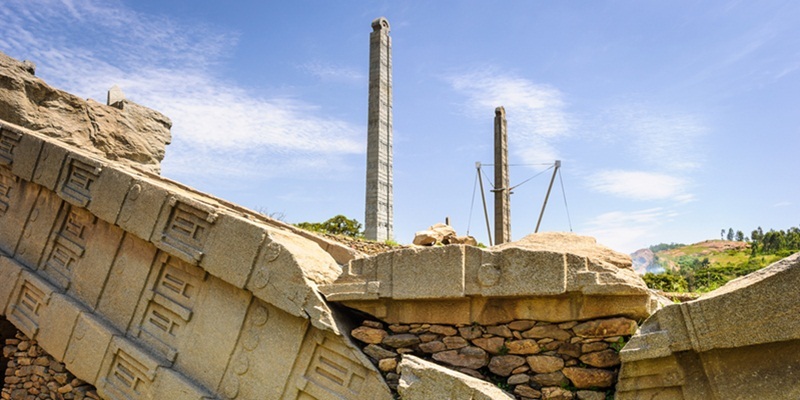 The city is home to the Ethiopian National Library, the Ethiopian Ethnological Museum ,the Addis Ababa Museum, the Ethiopian Natural History Museum, the Ethiopian Railway Museum and the National Postal Museum. The city lies at the foot of Mount Entoto. From its lowest point, around Bole International Airport, at 2,326 metres (7,631 ft) above sea level in the southern periphery, the city rises to over 3,000 metres (9,800 ft) in the Entoto Mountains to the north. Addis Ababa has a total population of 2,739,551, of whom 1,305,387 are men and 1,434,164 women, all of the populations are urban inhabitants. The economic activities in Addis Ababa are miscellaneous. According to official statistics from the federal government, some 119,197 people in the city are engaged in trade and commerce. Addis Ababa University was founded in 1950 and was originally named “University College of Addis Ababa”, then renamed in 1962 for the former Ethiopian emperor Haile Selassie I who had donated his Genete Leul Palace to be the University main campus in the previous year. It received its current name in 1975 after the Emperor was deposed. Although the university has six of its seven campuses within Addis Ababa it also maintains branches in many cities throughout Ethiopia. It is the home of the Institute of Ethiopian Studies and the Ethnological Museum. The city also has numerous private colleges including Admas College, Ethiopian Civil Service College and Unity University. The transportation system in Addis Ababa is public buses from Anbessa City Bus Service Enterprise or blue and white share taxis. The taxis are usually minibuses that can seat at most twelve people. The city is served by Bole International Airport, where a new terminal opened in 2003. Addis Ababa also has had a railway connection with Djibouti City the railway no longer operates but now the city is under the construction of a new modern rail line that include a 30 km network with two lines; an east-west line from Ayat to the Torhailoch ringroad, and from Menelik Square to Mercato Bus Station, Meskel Square and Akaki. There are different hotel around addis ababa city from high world class addis ababa Sheraton top and list in terms of both price and quality most of the new hotelas are found arrand the airport and also standard gust housies found around the air ports.Most of the hotels this day are builed with hight quality which makes the gust confertabel .the hotels have brond band internates services, conferas halle gume, spa and shoping centers. If you want to eat and drink in Addis Ababa city there is Top quality restaurants specaialising in most recognized international cuisines to traditional found dotted around the city.The resturats, the coffe shope, pasteres, fast food shopes have fare price which any one can afford them. This day’s the traditional Ethiopian coffice are served any where around the city.you can also found Traditional Restaurant with different traditional food with there traditional dance and muisec in addis ababa city. The mega Theater is a rectangular double-story stone construction that dates to the 1920s and was orginally named the club de l’Union .the mega teatere has several use as cinema, bar, dancing hall and casino they called it as Satan Bat Devil’s House.But this days you can found different cinema and theater halles like Ambassador theater, Alem Cinema,Empire Cinema .Edenamol cinema and Ethiopia cinema .